Moonstone, grown by Eileen Elibol, won Queen Of Show in 2010 Western New York Rose Society Show. Photo used with permission from WNY Rose Society. Feel fortunate if your birthday is in June. Your birthday flower is the rose, which is called the world’s favorite flower, according to an exhibit last summer at the Buffalo and Erie County Public Library. Roses were in such high demand during the 17th century that royalty used roses and rose water as legal tender to purchase other items or to pay debts. Luckily, today even we common folk can buy roses as cut flowers or enjoy them in our gardens. One of the most important things you have to do when growing roses is make sure you water them well. 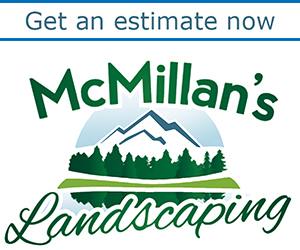 That tip is from Lillian Stiegler of the Western New York Rose Society, who feels certain the rain will let up and we will indeed have to water our gardens this summer. You need to make sure your roses get at least one inch of water a week, she said. You want the soil to be damp four to five inches down. During hot weather, she waters three times a week or sometimes even every day. During exceptionally hot weather, she may water twice a day. 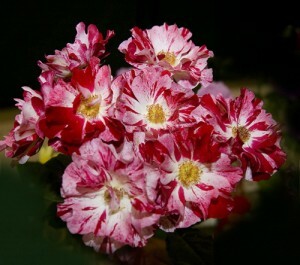 Hot Cocoa, grown by Mirdza Neiders, won Best Floribunda in the 2010 Western New York Rose Society Show. Photo by Eileen Elibol used with permission from the WNY Rose Society. “They’re heavy drinkers,” she joked. If your roses are in pots, you have to water them every day. Even the warm wind we had last week was enough to dry out container plants. “It’s better to give them more water than they need than not enough,” Stiegler said. When you water, try not to get the leaves wet. Wet leaves will leave the plant more vulnerable to the growth of black spot, a rose disease, which is very hard to get rid of. Black spot is a fungus and is in the air, Stiegler explained. 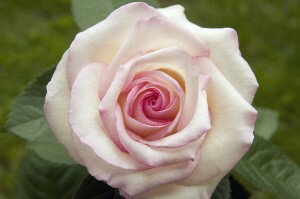 To prevent black spot and other diseases, you should regularly spray your roses with a fungicide. She recommends that you start spraying the fungicide at the bottom of the plant and work up. This ensures that you will get the fungicide on the bottoms of the leaves as well as on the tops. Also, make sure you have watered well the day before you spray. You don’t need to spray for insects unless you actually have an insect problem– if you see your leaves getting chewed. Feed your roses with a good fertilizer, such as 5/10/5 or 10/10/10, she said, but stop in mid-August. You want your roses to go dormant. If they don’t, a good heavy frost will kill the rose right away. Fourth of July. Photo by Eileen Elibol, used with permission from the WNY Rose Society. The Western New York Rose Society will hold its Annual June Rose Show from 1 to 5 p.m. Saturday, June 18, at the Galleria Mall, One Walden Galleria, Cheektowaga. Information on roses will also be available. The Western New York Rose Society meets at 7 p.m. on the third Wednesday of each month at St. Stephens-Bethlehem United Church of Christ, 750 Wehrle Dr., (near Union Road), Amherst. Meet on the lower church level. On June 15, the presentations will be “How to Show Roses” by Steve Styn and “How to Create Arrangements” by Camille DiGregorio. 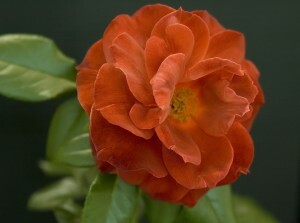 Go to the Western New York Rose Society’s website for lots more information on growing roses. For a couple more quick tips on selecting roses, check out this video with David Clark.